Intelligentsia Coffee at Sunset Junction closed its doors on September 12 to undergo renovations, leaving many to ponder their options for coffee. They haven&apos;t set a hard date for their re-opening—The Eastsider says company tweets estimate that the process will take a few weeks. The offer is only good from 8 a.m. to 1 p.m., and a worker at the kiosk told The Eastsider that the coffee runs out early, so it&apos;s wise to get there ASAP. 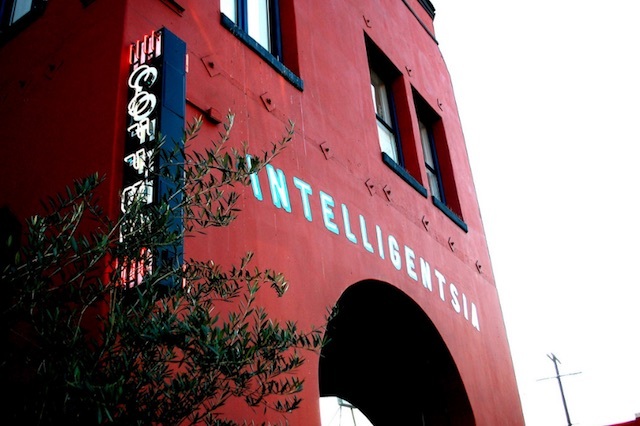 LAist has left a message for Intelligentsia headquarters. We want to ask (among other things) how this is possible. Isn&apos;t that a lot of coffee to be giving away? Or maybe we should keep quiet and be grateful for the fact that we&apos;re getting free java. We&apos;ll update with more details when we hear back. Update [3:53 p.m.]: An Intelligentsia spokesperson told LAist that the re-opening is "[to be determined] late next week," that more information will be posted on the shop&apos;s social channels soon, and that there could be an opening party in the works.